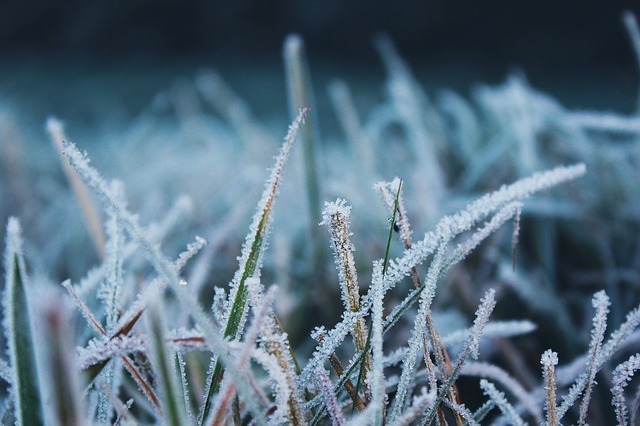 Your grass definitely doesn’t get as much tender loving care and attention during the winter as it does in the spring, summer, or even fall. Your grass definitely doesn’t get as much tender loving care and attention during the winter as it does in the spring, summer, or even fall. And that is for good reason since it doesn’t need as much attention. This doesn’t mean that you can just let it go completely, however. There are certain things that you should be doing to care for your lawn this winter. Lots of different debris can pile up on the lawn during the fall, but by far the worst offender is leaves. There are many reasons to remove the leaves from the grass. If there’s too many of them, the lawn can actually suffocate. If they get and stay wet, like during our past very rainy fall, they can breed diseases that hurt your lawn. If the leaves aren’t wet or too thick, you can mulch them with your lawnmower instead of racking them up, so that they decay and cycle their nutrients back into the grass. Once the leaves are up, you should also remove any furniture and toys. Finally, avoid walking on the dormant grass more than necessary as it can cause damage over time. Rock salt and other deicing materials are an important part of winter because they help with snow and ice removal and allow us to keep our walkways safe. And since you shouldn’t be walking on the dormant grass more than necessary, you need safe walkways. However, these deicing agents can be very detrimental to grass, plants, and hardscaping. Don’t use more than necessary for safely clearing your path, and don’t spray or sweep the ice melting agents onto plants or the grass. This is a step that actually needs to be done in the very early winter, sometime before the first expected frost. Aerating the lawn opens up the soil, allowing the grass to breathe before it goes dormant in the winter. Aerating also eases the compaction that has built up during the rest of the year. This is also a good time to fertilize. This way you know that your lawn has all of the nutrients it needs heading into winter. Since the grass is preparing for dormancy, when the roots absorb the nutrients they store them. Those stored nutrients give your lawn a good reserve which the grass taps into when dormancy ends in the spring. Giving your grass this head start can also help with weed control in the spring. This entry was posted on Friday, January 25th, 2019	at 9:31 pm	and is filed under Lawn Tips	. You can follow any responses to this entry through the RSS 2.0	feed. Both comments and pings are currently closed.